I made this rub to season chicken tenders as part of a meal I catered for 60 people last Sunday. 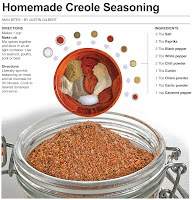 Most creole seasoning will include dried thyme or basil, or what I think of as Italian or European type of spices. I mix it up a little here and substitute those with chili powder and cumin, this gives the rub a hint of southwest flavor. The star of this seasoning though is pepper, along with the aforementioned chili, I also include black pepper, white pepper and cayenne pepper. I use this combination so that it effects all areas of the mouth. 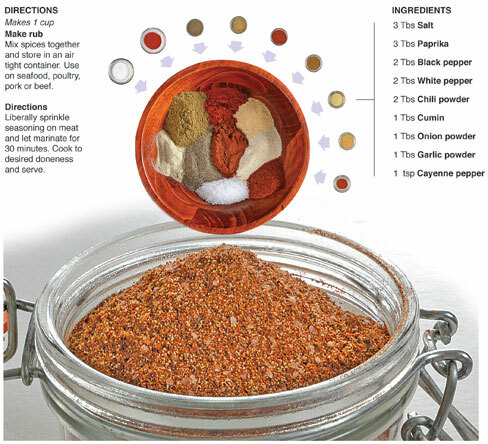 The cayenne pepper seems to provide heat up front on the tongue and lips while the others are more throaty. The combination covers the entire mouth rather than just one region. John Maxwell, New Orleans native and owner of the Ragin Cajun Food Truck, told me the pepper sensation filling the entire mouth is the secret to good creole seasoning. This rub is spicy but the heat level is tame, I went light on the cayenne to keep the heat down. I used it simply for its effect on the mouth and taste buds. As I mention in the introduction, the chicken tenders I used this spice rub on were an element to a gigantic meal I prepared for a Mardi Gras party of 60 people. It was the first time that I prepared everything myself for a party this large. I did employ my mom to make the deserts, so I technically didn’t make everything. I have helped put out meals like this on a number of occasions, but this time I not only took the lead, I also went solo. The secret for preparing such large quantities of food was allowing the heat from the actual service vessels to finish the cooking. I made everything in advance, except for the rice for the jambalaya and the baked potatoes. I got to the place early and put out the entire spread in the warming vessels two hours before anyone arrived. The low heat in the covered pans slowly built so that by the time the party started everything had just reached the hot and steamy stage. It worked perfect, except for one of my roasters. I had it plugged into a power strip that kicked off at some point. Just before service I checked and the jambalaya that was in the roaster was luke warm at best. That’s when I discovered the problem with the power strip. I quickly brought it back to the kitchen and microwaved it in batches to get it hot. It caused a slight delay in the meal, but other than that, it went off without a hitch. 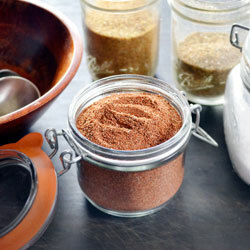 Mix spices together and store in an air tight container. 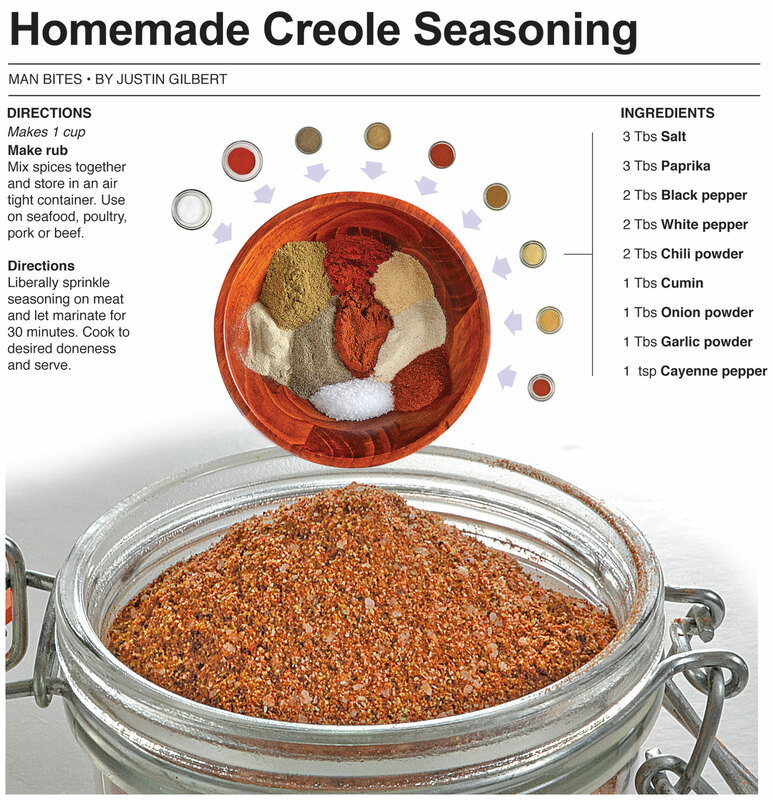 Use on seafood, poultry, pork or beef.